It had been a while since I targeted Pike so a quick trip to the local river was in order. 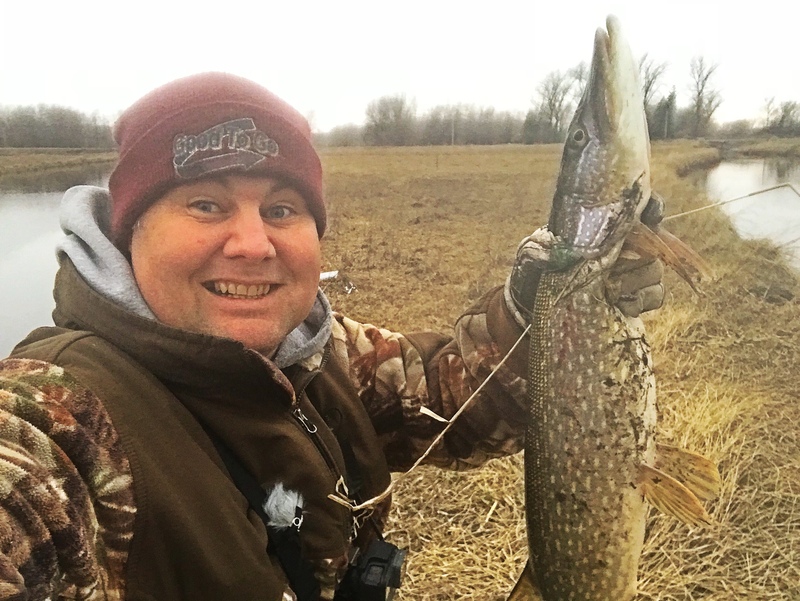 A cold front moved in and had the fish short biting. After several missed strikes on a spinner I switched to swim baits and landed a couple fish. Slow rolling across the bottom was the only way these fish were take the bait.